On June 9, 1953, the Bureau of Internal Revenue became the Internal Revenue Service when the Secretary of the Treasury changed the name of this bureau without any authorization from Congress. The first income tax was assessed in 1862 to raise funds for the American Civil War, with a rate of 3%. In July 1862, during the Civil War, President Abraham Lincoln and Congress created the office of Commissioner of Internal Revenue and enacted a temporary income tax to pay war expenses (see Revenue Act of 1862). The Revenue Act of 1862 was passed as an emergency and temporary war-time tax. America has been plagued with a privately owned central bank (the Federal Reserve) that is destroying America’s money system and America. The 16th amendment was never legally passed (The Law That Never Was, by Benson & Beckman) gives the federal government the legal authority to impose a direct tax on the income of every American. The Internal Revenue Service is a privately owned collection agency that collects tax money from Americans and sends all American tax money to foreign international world bankers. America has a graduated federal income tax that is strangling America. An increasing federal government bureaucracy is destroying the private sector. International trade treaties and alliances are destroying American sovereignty and independence and liberties. Endless foreign wars destroy the lives of millions, as well as destroy the value of the United States Dollar (USD). In 2015 the IRS has collected approximately $3,248,723,000,000 from Americans, but, of course, none of this money is used by the United States Government; every penny of this American tax money goes to pay the interest on the national debt which was created by the International World Bankers. In other words America’s income tax money goes into the pockets of the International World Bankers. 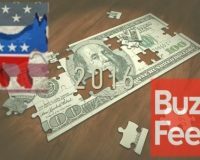 Moreover the federal government runs annual deficits of almost $500 billion. 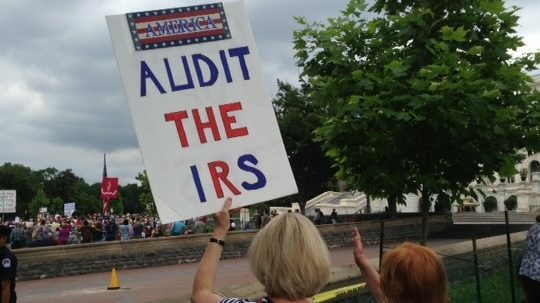 Today, the IRS is a collection agency for the globalist Elites. The IRS is based in Puerto Rico. The IRS is not even an agency of the United States Government. The IRS operates on a yearly budget of about $11.2 billion. The IRS was officially established in 1953 for the purpose of robbing and harassing the American people (To Harass Our People, by George V Hansen)! Furthermore, anyone who has read and studied “The Grace Commission” that was commissioned by President Ronald Reagan knows that when the IRS collects your tax dollars not one penny of your tax money goes to pay for federal goods and services. Instead your income tax revenues pay the interest on the national debt. They get it from tariffs, excise taxes, and indirect taxes. And when those revenue sources do not provide the federal government with enough money to operate the federal government will borrow the money from the unconstitutional and privately owned Federal Reserve. Because the United States Government is out of control and usually operates outside the limitations of the U.S. Constitution the federal government must borrow enormous amounts of money from the unconstitutional and privately owned Federal Reserve. Therefore, the federal government creates enormous debt. The debt is now over $19 trillion. The following four websites explain The Grace Commission. In 1933 the United States declared bankruptcy to make all citizens subject to the repayment of the national debt. The international world bankers chartered the Delaware Corporation known as the Bureau of Internal Revenue. But this corporation was illegally masquerading as part of the government placing them under constant threat of lawsuit. To escape this litigation they moved their jurisdiction outside of the United States to Puerto Rico in 1953. The Bureau of Revenue moved to Puerto Rico in 1953 and changed to the Internal Revenue Service (IRS) and are part of the Department of the Treasury of the Commonwealth of Puerto Rico. Revenue Agent: any duly authorized commonwealth internal revenue agent of the Department of the Treasury of Puerto Rico 27 CFR 26.11. The US Code lists the IRS as Trust Fund #62 Puerto Rico special fund (Internal Revenue), Section 31 U.S.C. 1321 (1) (62). This was done to avert all income tax payments to the International Monetary Fund. On Oct. 28, 1977, the United States as a “Corporation” and “State” declared insolvency. State banks and most other banks were put under control of the “Governor” of the “Fund” (I.M.F.). 26 IRC 165 (g)(1); U.C.C. 1-201 (23), C.R.S. 39-22-103.5. Please review the following websites. Ron Bedell has two bachelor degree's from two Christians in Biblical Education and Biology. Ron lives in south Florida and has been actively involved in politics since 1976. The GOP Could Learn a Lesson from the Target BoycottBig Government Driving the Next Generation Into Bankruptcy!